Obituary. - Nepean Times, Penrith, 2 August 1930, p. 8. Diggers' rummy party. - Nepean Times, Penrith, 29 July 1933, p. 1. Change of business. 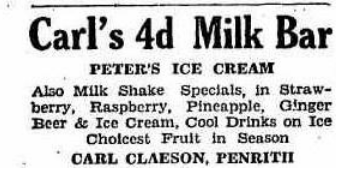 - Nepean Times, Penrith, 8 June 1935, p. 4.